After the success of last year's Annual Fall Art Exhibition, the Olivet School of Art and Design (OSAD) is once again getting ready to display its finest student work for this year's 2018 Fall Art Exhibition. 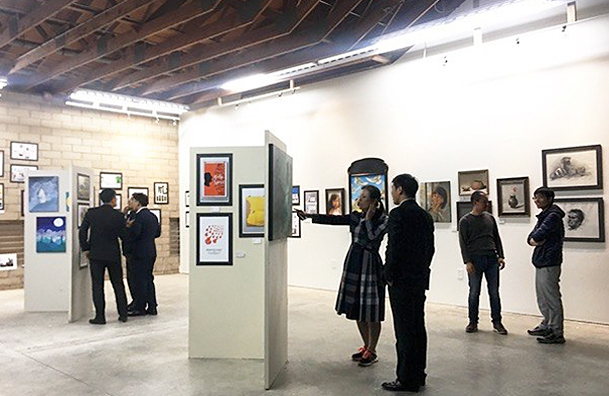 Last year's exhibition was hosted at Olivet University main campus in Riverside ,CA. It showcased unique works in the field of graphic design, product design, photography, and fine arts. OSAD partnered with other Christian art organizations to showcase works from both students and fellow Christian artists. The diversity of the exhibition drew much attention from students, faculty, and visitors from across the world. This year's Annual Fall Art Exhibition will be hosted in the new Olivet University San Francisco campus in Mill Valley, CA. OSAD faculty and students are putting their heart and soul into presenting their best works that can leave the audience stunned during the annual gathering. "We are all looking forward to this event to present and share the best of our art works to all the attendees and have another memorable experience," said Zimou Tan, the Associate Dean of OSAD.